Livestock MOM. Livestock WIFE. Livestock CAREER. Livestock PASSION. For Lisa, what all started with a simple 4-H project has blossomed into a way of life that she couldn’t picture any other way. She says, “I thank God every day for placing me right here, in the middle of the stock show life.” Lisa believes in this industry and the important values that we can all learn along the way. There is no other lifestyle that she’d rather raise her children within. 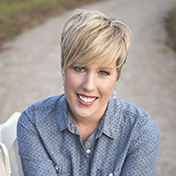 Lisa is grateful that her own passion and professional career have collided. 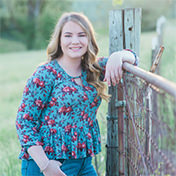 Lisa says, “My career allows the opportunity to serve others in the industry by bringing innovative products and service to the market through Weaver Leather Livestock show supplies”. Lisa bases her motto on the quote “She believed she could. So, she did”. This creed translates into her evident dedication to the stock show life. Lisa resides in Northeast Ohio, where she and her husband stay busy raising their three children and a barn full of show lambs. Marlene Eick is a storyteller and coach. 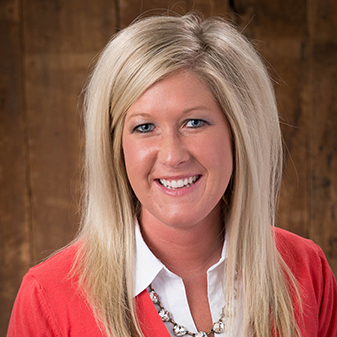 As co-owner of Herdmark Media, she helps businesses in agriculture tell their story. As a leadership and career coach, Marlene helps people discover the stories within themselves. She’s an advocate for youth livestock shows and loves French fries, playing the piano, and cheering for the Ohio State Buckeyes. Learn more about Marlene at herdmarkmedia.com and marleneeick.com. 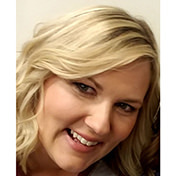 Renee Hershberger is a dairy enthusiast and serves as the Research and Development Coordinator at Weaver Leather Livestock. Growing up, her summer vacations weren’t typical beach trips. Instead, you could find Renee showing at the Ohio State Fair and the Holmes County Fair near her hometown. Renee continues to raise and show dairy cattle. Her herd includes Coco, Coco Chanel, Charlie, and the two newest additions Carat, and Colette. Renee is living one of her favorite quotes, “Choose a job you love, and you will never have to work a day in your life.” Renee is very passionate in sharing secrets to her success with the youth of today so they have the tools to be successful in the ring, and in life! Most people that work with Jeremy Evans at Dover Middle School in Dover, Ohio think Jeremy is a farmer. He prefers the term “Agriculture Enthusiast” because 8 acres and 5 head of cattle doesn’t exactly make a farm. 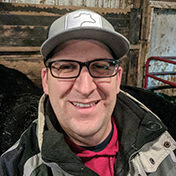 When he is not grading papers or changing apostrophes that don’t belong in plural nouns, he enjoys feeding his son’s (Barrett, Brady, Blaine) steers, but not writing the checks for the feed. His wife Michelle is also a teacher at Dover City Schools and he considers his greatest accomplishment in life the fact that he converted his wife from a “horse person” to a “cow person” as evidenced by the fluffer comb in the back pocket of her ski pants at shows. 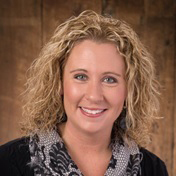 Jennifer Friend was raised on a small cow/calf and sheep farm in Central West Virginia. From an early age she caught the “show bug;” when she was two she told her Mom that she wanted to show a sheep while her Mother was judging a sheep show! Ever since then, she has been showing sheep locally and at the state level. It wasn’t until she was 8 that she was allowed to show a calf and that heifer’s influence is still found in Jennifer’s herd. 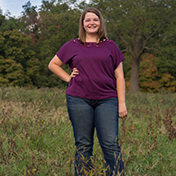 Besides the show bug, Jennifer competed on 4-H and FFA livestock judging teams and then went on to judge at the collegiate level for West Virginia University. She will be graduating in May 2018 with a BS in Agriculture and Extension Education and Jennifer plans to pursue a career in production agriculture. 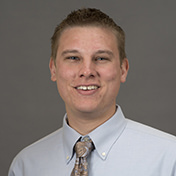 Greg Kirlin resides on his family farming operation in west central Illinois and is a Feed Sales Representative and Marketing Specialist for a local feed & grain company, Dearwester Grain Services. He uses his passion for livestock production to help local producers reach their goals in both commercial and show stock settings. His brother and he both have a passion for raising and exhibiting purebred Simmental cattle.